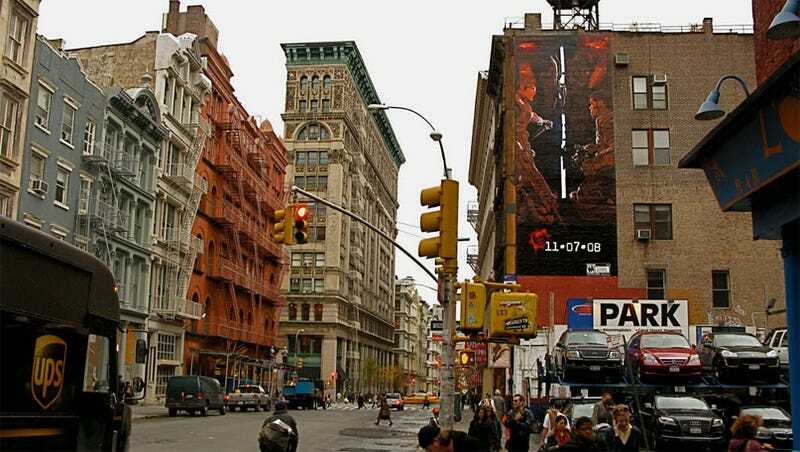 Bit of Gears 2 marketing going down (or up) in New York City this weekend. Namely, some building-sized Gears of War 2 murals. Yup. Murals. Not posters, not prints, they're painted. There are three in total. One on Broome & Crosby, one on the corner of Spring Crosby and the third - and largest, at 76 feet - on Delancey and Allen. So cheer up, Marcus! If you can make it here, you can make it anywhere.